If you want to pay your respects to this fallen hero of shark-kind, wear this Jaws Bruce The Shark Mask to your next costume party. 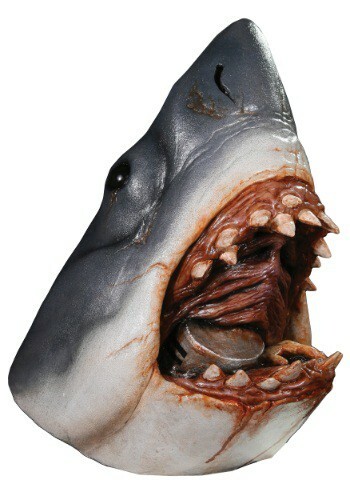 This latex mask is a faithful recreation of Bruce and his famous "jaws" in his final moments, even including his last meal of fishing boat captain and scuba tank. It's a fitting tribute to this gentle giant, and a great way to spread awareness of the misunderstood lives and heritage of sharks.